Our recent paper about our research on the effects of removing fossil fuel subsidies, published in Nature on February 8, 2018, generated a lot of comment and debate. Here, we respond to three important themes raised in these comments. The first concerns the interpretation of our findings about the significance of subsidy removal for reducing CO2 emissions, the second concerns our approach to modeling and the data we used, and the third relates to policy options for more effective subsidy reform. What are fossil fuel subsidies and why are they interesting for climate? Fossil fuel subsidies are government interventions which decrease the price of fossil fuels below the market price. They can go to supporting the extraction of oil, gas, and coal (production subsidies) or making fuels cheaper for consumers (consumption subsidies) and amounted to over US$400 billion in 2015. There is a certain irony in that so many governments signed on to the Paris Agreement in 2015 yet in that same year many of those same governments spent so much money making fossil fuels cheaper. How much would removing these subsidies help climate change mitigation efforts? How does it compare to what countries have already pledged to do for the climate under the Paris Agreement? Some commenters claim that it is already known that the effect of removing fossil fuel subsidies on emissions is limited. However, according to the authoritative Intergovernmental Panel on Climate Change Fifth Assessment Report (IPCC AR5), subsidy reform “can achieve significant emission reductions”. This view also is evident in the political sphere as: the Friends of Fossil Fuel Subsidy Reform, a group of countries called fossil fuel subsidy reform “the missing piece of the puzzle in the fight against climate change”. Our findings are that fossil fuel subsidy removal would lead to a 1-4% reduction in CO2 emissions in the energy sector by 2030 if oil prices stay low, and 1-5% if oil prices rise again, compared to the rise in emissions if subsidies are maintained, the baseline. It means that subsidy reform is a modest contribution to the global reductions required to achieve 2°C in a least-cost pathway, 27-57% by 2030. More importantly, in our paper we compare emission reductions from subsidy removal not to this ideal goal, but to the actual targets pledged in the context of the Paris Agreement. Globally, Paris pledges would reduce emissions against the baseline in the energy sector by 9-13% in 2030 (under a moderate growth baseline) which is a larger reduction than fossil fuel subsidy removal would deliver. Under both the Paris climate pledges and fossil fuel subsidy phase-out global emissions would continue to rise whereas to achieve the 2°C target they should peak and eventually decline. This global assessment is only part of our study. In addition, we show how the impacts of subsidy removal are different by region. In the major oil and gas exporting regions (Middle East and North Africa, Russia and its neighboring countries, and Latin America), removing fossil fuel subsidies lowers emissions by the same amount or more than these countries’ Paris pledges. Government revenues in these regions largely come from energy exports, which are squeezed by today’s low oil prices. Lowering government spending by removing subsidies is a real political opportunity to reduce emissions in these regions. In other developing and emerging economies (India, China, the rest of Asia and Sub-Saharan Africa), removing fossil fuel subsidies has less of an effect on emissions than these countries’ Paris pledges. In addition, the number of people who might be affected by subsidy removal in these regions is higher, simply because there are many more people living below the poverty line, for whom subsidies make the most difference. Taken together, these two findings frame one of our main results: that subsidy removal would be most useful for the climate precisely in the regions where it would affect fewer people living below the poverty line. The second theme we would like to address relates to our data and modeling. Some commenters claimed that we underestimate both production subsidies and the effect of their removal. According to data from the IEA and OECD only about 4% of subsidies are production subsidies. The International Institute for Sustainable Development (IISD) and Overseas Development Institute (ODI) publish an independent estimate based on their own definition and approach. Extrapolating to the global level, production subsidies would be about 14% in 2013 under their approach. We ran a sensitivity analysis using this higher production subsidies estimate. This did not change our findings (discussed in the Supplementary Information to our article). Some commenters claimed that our study does not consider electricity production subsidies. This is also not true. We use the IEA data where power generation subsidies are captured in electricity subsidies. The SI discusses how each model integrates electricity subsidies. There are other, fragmented estimates for electricity generation subsidies in individual countries, which generally take a different view of subsidies. For example, the recent report from IISD on Chinese subsidies to coal-fired power plants indicates that in 2014 and 2015, between 89% and 97% of these subsidies went to incentivize air pollution control equipment or closing inefficient plants. According to the same report, these subsidies also dropped by half from 2014 to 2015. Few governments would consider this as an environmentally-harmful subsidy, and removing such support will increase, not decrease emissions. For our main analysis, we relied on IEA and OECD data for both production and consumption subsidies because these inventories are aligned with governments’ own estimates which are prepared as part of the G20 pledge to remove subsidies from 2009 reaffirmed in 2016. By using the same input data as governments and international organizations who are pledging or considering fossil fuel subsidy removal, we ensure the policy relevance of our results for these actors. There were several comparisons of our results with those reported in a recent paper by Erickson et.al. 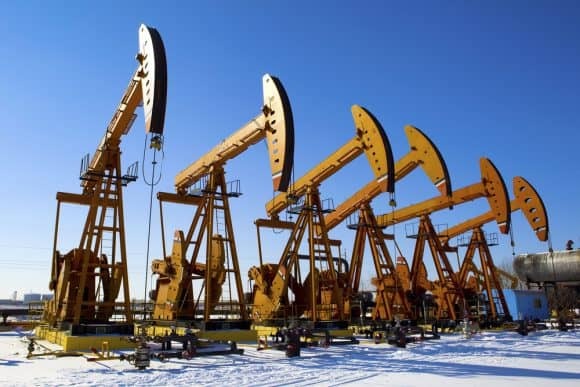 in Nature Energy, which found that under the currently low oil prices, removing production subsidies in the US would make several oil fields unprofitable and eventually result in their closure. We find contrasting these two papers misleading as they ask very different research questions. Our study does not investigate how many oil fields in the US or elsewhere will become unprofitable after subsidy removal, but looks at the global effect of subsidy removal on emissions by taking into account trade in fossil fuels, the demand response and potential substitution of fuels and technologies. Erickson and his colleagues do not ask how much emissions will change as a result of closed oil fields. These are two very different questions. Erickson and his colleagues compare the amount of carbon embedded in the oil reserves that may become unprofitable due to subsidy removal, to how much carbon the US would be allowed to emit under a stringent climate target. This creates an impression that they investigate the impact of removing oil production subsidies on US emissions. However, calculating the emission impact from removing oil production subsidies requires not only calculating the emissions embedded in foregone oil production, but also the possible emissions resulting from replacing this lost oil with other fuels, or changes in demand, for example if Americans choose to drive less if wells are closed, or if the US imports oil instead. We use these types of feedbacks in our models to calculate the emissions effects of subsidy removal (both consumption and production). The third theme raised in the comments to our article was why we did not model redirecting subsidies to supporting renewable energy. While this is a very tempting question to ask from a climate perspective, and certainly one which we could do in our models, we did not consider it a realistic policy to be prioritized in our scenarios. In most countries fuel subsidies were introduced to support those on low incomes, although it is an inefficient way to do so. A state budget deficit and today’s low oil prices can often prompt successful subsidy reform. Indonesia for example recently expanded spending on infrastructure and programs to reduce poverty, while India introduced vouchers for cooking fuels. Iran, meanwhile introduced universal health coverage. We would like to express our agreement with two comments, one from Ian Parry who wrote a commentary to our paper in Nature, and another from David Victor in his statement to Scientific American, that there are many reasons to reform fossil fuel subsidies other than emissions reductions. Our article does not cover these reasons and should not be interpreted as a comprehensive assessment of all aspects of subsidy removal. We do however hope that our transparent and rigorous assessment of the effects of subsidy removal on CO2 emissions and energy use will support realistic and effective subsidy removal policies, and help in understanding the relative importance of a range of emission-reduction measures needed for achieving the ambitious long-term targets of the Paris Agreement. As some commenters pointed out, we need all tools in the box to combat the enormous challenge of climate change. We fully agree. At the same time, we also believe in the need to understand how much each tool can do and where it can be most effective. This is exactly what our study answers.